Returning from a week in the sun to rainy grey England is never a fun experience, but at least you can keep your holiday tan going for a while longer with a little helping hand from one of these. For a subtle top up, and to even out any areas that aren't tanned (bikini lines etc), a gradual self-tanning product is an easy way to achieve a light, all over glow. 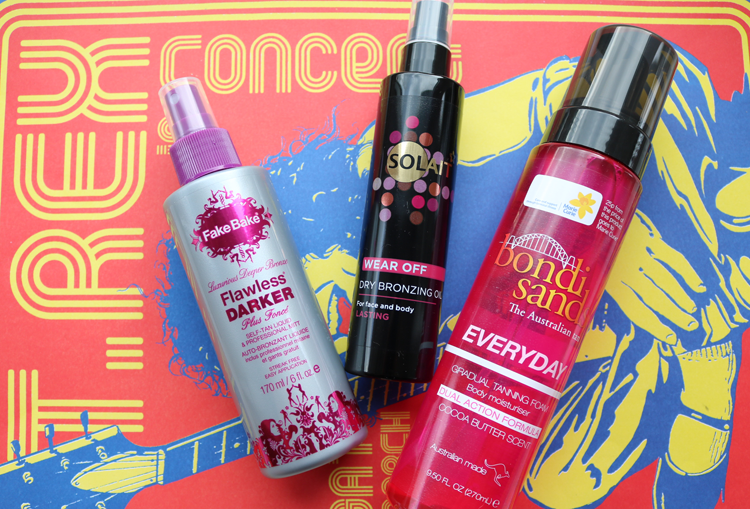 I'm a big fan of Bondi Sands in general and have been using their Everyday Gradual Tanning Foam Body Moisturiser to keep my tan looking good since arriving back in the UK. It's so easy to use that you can even apply it with your hands as it doesn't stain them! It pumps out like a regular foam and sinks into the skin quickly with a delicious cocoa butter scent. With this product, you'll get a streak-free, natural looking light tan that builds up over a few days. Drier skins will appreciate the hydrating effects of a more oil based formula, and Solait Dry Bronzing Oil is also cruelty-free, suitable for vegans and easy to find in your local Superdrug. This self-tanning dry oil goes on smoothly when applied with a mitt and I found it absorbed well without feeling greasy or sticky. It does have that traditional biscuity fake tan smell, but it's certainly not as strong as some other brands that I've tried. I really liked the finish of this as it gave me a gorgeous, medium bronzed look with just two layers and faded evenly. If you want to take your holiday tan to a new level and go darker, Fake Bake Flawless Darker Self-Tan Liquid is THE darkest self-tanning product that I've tried to date (and trust me, I've tried a lot of them over the years!). I've been so disappointed with other 'dark' formulas but this one really does deliver on its claims. The only slight downside that I experienced was that I thought the liquid was a little too runny, but after some trial and error, I found that it applied really well and I had no issues with streaks or anything like that. It dries quickly and has a pleasant tropical scent, though it does smell slightly biscuity when it starts to develop. After 8 hours, my skin had transformed into a deep, dark but still natural and not orange looking tan - love it! 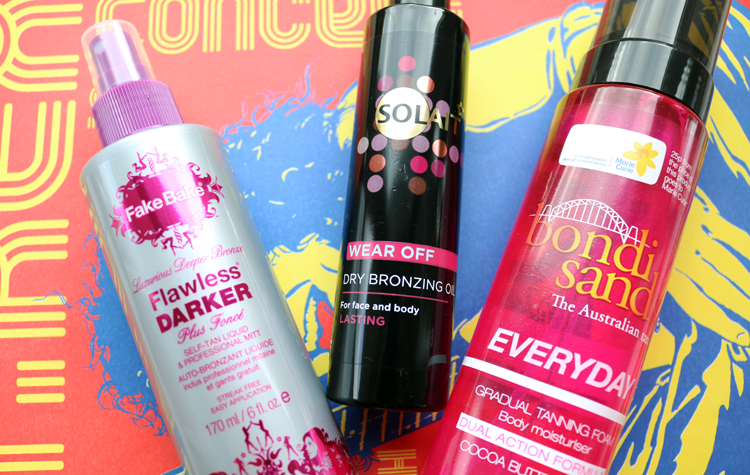 What are your favourite self-tanning products to use after your holiday?